Few days to the end of 2015.... yay and i must say, this has been a good year so far with regards to finances. I am determined to make 2016 a better year as well so if you are determined to make a brand new financial start in 2016, Take a look at these money saving tips which i have implemented this past year that worked. Luckily for me, i have no overdraft, i have been offered lots of times but i neither need nor want them as am the type that do not believe in being in debt except it is extremely necessary. That means i spend my own money every month which means tracking every penny. I started tracking all of my expenses on a spreadsheet back in May and knew exactly what i was wasting money on. This has helped me in cutting back the way i spend as i realized i spend over £800 monthly on miscellaneous, lunch at work and Starbucks hot chocolate. A £2.50 here and there goes a long way. After watching Extreme Couponing which is a USA reality show one night, my mentality on shopping changed. 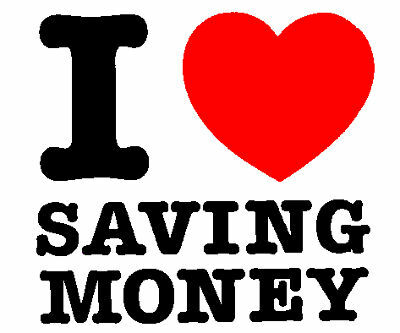 I simply cannot stress this enough, Deals, Vouchers and Coupons has been one of my biggest money savers. I always make sure i have coupons and vouchers when doing my groceries shopping either in store on online. Prior to this i was never much of a frugal person and never shop around for good deals when buying things online. Now i have realized i can save a lot of money by searching for deals on sites like moneysavingexperts and HotUKDeals etc. Dont just blow your hard earned cash when you can get money offs. Even if its all few pounds, trust me, it all adds up. My Grocery shopping each month went from about £250 each month to about £70 monthly. Sometime in August, 12 Rolls of Andrex Toilet Tissue that would normally sell for £5.98 was sold for £0.20. Buying 24 packs which would have cost £143.52 but only paid £4.80, that was a massive savings for the year. Whenever i do my online shopping, i always make sure i use a cashback site. 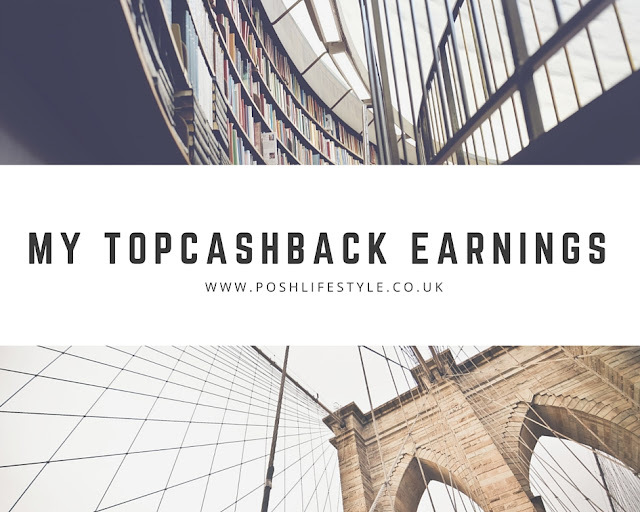 My Favorite has been Topcashback. Just recently, i booked our family Christmas break which cos about £729 and i got cashback of £24.30 just by using the topcashback site. its simply a no brainer. 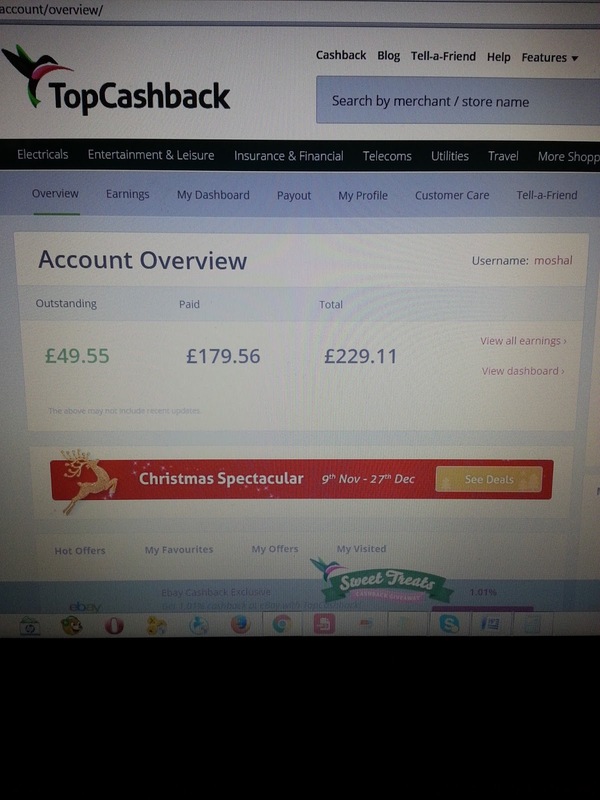 I have made about £229.11 from the site in just few months of using it. I have also used Quido i think twice or thrice and made about £60 cashback from it. I had a massive clear out towards middle of the year as i am not a huge fan of clutter and sold many new items that we didnt need and second hand items that were no longer required on Gumtree and Shpock and managed to make over £500 which was deposited into Michelle's bank account. I am hoping to do this again soon and the money will go towards holiday plans for next year. Back in January this year, i started the 52 Weeks money saving challenge and bought two of those money tins you can only open with a tin cutter. All i did was save £1 or £2 coins that came my way. I consciously and consistently did this all through the year. I opened the tins sometime around November and i had managed to save approximately £965.70, that's roughly saving about £250 in 3 months which isnt bad at all considering the little amount. I have since splitted this into Michelle and Victoria's account. The 52 Weeks challenge is a great way to save money all through the year. Do you have any money saving tips for 2016? Kindly share.